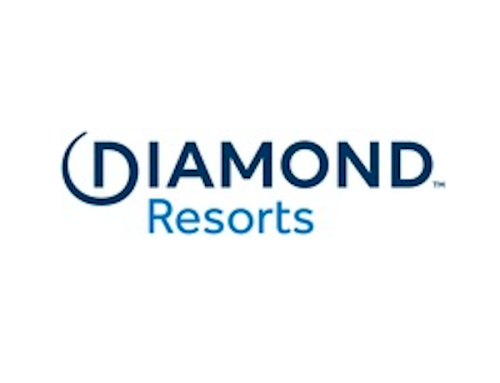 Orlando, Florida – April 6, 2015 – (INTUITION by Perspective Group) – The National Timeshare Owners Association (http://www.nationaltimeshareownersassoc.com) today announced the appointments of Dennis DiTinno and Bob Kobek to their Advisory Board. They join Board Chair Wes Sattenfield and members Michelle Donato, Suzanne Harris, Wes Kogelman and founder Ed Hastry. Mr. DiTinno, CEO, President and Broker of Liberte Management and Land of Liberte Realty, said, “I am honored to be a part of one of the oldest and most insightful timeshare consumer organizations for the advancement of knowledge and information. There is more than a hundred combined years of experience on this Board. Experience and Education can be two different avenues of information and the NTOA has combined them and brought that to the forefront,” said DiTinno. NTOA staff and Advisory Board members will be attending the upcoming ARDA Convention later this month in Orlando and will be using this time to reach out to industry attendees and letting them know the benefits of working with the association. The NTOA has already presented this year at GNEX 2015, TATOC as well as other conferences and will be speaking at the Timeshare Board Members Association meeting being held in Providence, Rhode Island in May of this year in addition to the Canadian Resort Conference in Vancouver B.C. The Liberte’ Management Group of the Pinellas Islands, Inc. has been in the Community Management industry since 1989. The firm maintains licensed Community Managers and Real Estate Agents at each resort for the very best in resort support. Liberte’ also maintains an Educational Provider Designation from the State of Florida, Licensed Florida Real Estate Broker and Certified Fractional Consultant. Liberte’has provided keynote and support speakers as well as panelist for international ARDA, CAI, BITAC, TBMA, and similar industry conferences as well as consulting and mentoring on timeshare resorts in Florida, Costa Rica, Virginia, Wisconsin, Tennessee, South Carolina, Colorado and several other states and countries. Liberte’, is currently managing timeshare and condo hotel resorts in Florida and is quickly becoming known as the management company for distressed, i.e. legacy resorts. Liberte’ maintains controlled growth by working with each client on a one-to-one basis and with combined expert guidance the Liberte’ Management Group of the Pinellas Islands, Inc., h as become one of the industry’s highest regarded independent resort management and unique sales companies. Currently Liberte’ manages both timeshare communities and condominium hotel (condo-tell) communities. With the addition of the rental properties they are able to feed the timeshare resale market where needed with an unending support of vacationers. CustomerCount is a feature-rich, cloud based survey solution providing intuitive real-time reporting, fast turnaround on updates, and detailed and dynamic data gathering for process improvement and customer loyalty to improve your bottom line, CustomerCount is the only feedback system designed specifically for the leisure travel industry. It was developed and is still managed by Mobius Vendor Partners, formed in 1999 as a firm focused on business process design and management. Learn more and request a demo at www.customercount.com.